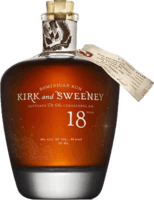 Fantastic If you like sweet rum that's something for you! If will be to sweet try with ice cube - in the end - really fantastic choice. one of the best I ever tried! Ok - that's my favourite I ever tried. Very dark color, great aroma like Don Papa, smooth and one of best design of bottle. If you like sweet rum.. Very good Very good rum...best ballance I ever tried. Very smooth. If you want to try perfect formula try that. And beauty bottle. the sweetest in the world I like sweet rum. But that's something more...is so sweet that I was more than surprised. Great for ladies, good for 1-2 glasses. Not more. Oak I tried that rum during stay in Jamaica. I visited Appletone destillery...Great tour...private guide. At the end you can try collection of their rums. good for casual drinking very nice nose, good colour and unusual bottle. taste quite simple but ok. Interesting That’s best from ron de jeremy collection. I was excepted more. Nice color....strange but interesting nose.... but taste just ok. Rate 7 is enough. nothing special and overrated Maybe just not my style...but taste is not to deep, colour is ok...aroma nothing special...I don't see anything very good there...maybe nice bottle. not bad I drank that during visit in Philippines. Not bad...of course like 12 YO nothing special...not as rich in taste. But hey.....that's cost around 5 US..
good standard. That's that kind of rum what everybody will like. Nothing special, but everything is good, colour, aroma, taste. Good for coke. 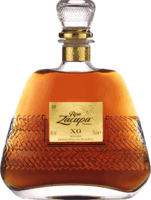 Definitely worth to try Not my style....but good rum and worth to try....rather strong flavor of oak and smoky. just typical typical, not bad rum. good with coke. smooth, you can feel vanilla, nice spices. Good for drinking but nothing special Aroma, colour just average. Taste mild - hard to feel something special but smooth for drinking. resonable for that price If you look for good example of resonable rum for good price that's that. Easy drinking, good with coke, ok on the rocks. little more that you pay for Cheap rum but little sweet, smooth, little to strong, sharp aftertaste. good with coke That's very good to mix with coke. Spiced but not to much, nice bottle and smooth. Nice vanilla flavour. Nothing special and overrated Not good aroma....nothing special about taste...not nice value for price. One of worst Plantation I tried. nothing special Tried during visit in Jamaica...even that place didn't made good opinion. Sorry but that's just typical cheap rum. But price is above that taste. for 8-years old you should expect more like in title....not bad...but definetly nothing special. resonable for that price Resonable for that price. I tried almost all from flor de cana...that's the cheapest and worst. But still for that price good to mix with coke. To much alcohol First: too much spirit/alcohol. Even is quite nice quality alcohol flavoure destroy rest. White means not good. Is you don't like white rum that will be another not good for you. Good with coke Ok that's cheap but not very bad. That's what you can buy to drink with soft drinks. Just good with coke... That's not worts rum I've tried but without coca-cola....is just not good. If you want to try that....that's just for drinks. for first rum Is you want to show somebody rum who never drunk that alko maybe it's nice. But just for that. And one more: that's even rum or just imitation? ok with coke don't expect much from that...simple ok for party mixing. nothing else. only for mixing Not very bad....but you can feel something unsavory in taste. For that price, with coke could be for party drinking. badly choise First rum what I tried In Costa Rica and it's...disappointment. It's not even standard taste of OK rum. You can just with coke.